It’s officially time to get into the holiday spirit, and here at Trunk Club, we love any excuse to get dressed up. As our calendars begin to fill with various holiday parties, it’s only right that we start thinking about our outfits. From glitzy glam to effortlessly elegant, three of our top stylists, Lauren, Maddie, and Marjorie, weigh in on what to wear. Keep scrolling for outfits that are toast-worthy all on their own. Dressing for a soirée where your boss and coworkers will be present can be tricky—we know that putting together an outfit that’s appropriately festive is no easy feat. But our stylists have two foolproof ways to tackle this style challenge. “Go for textured pieces in the same color for an extra pop of fun,” Maddie says. 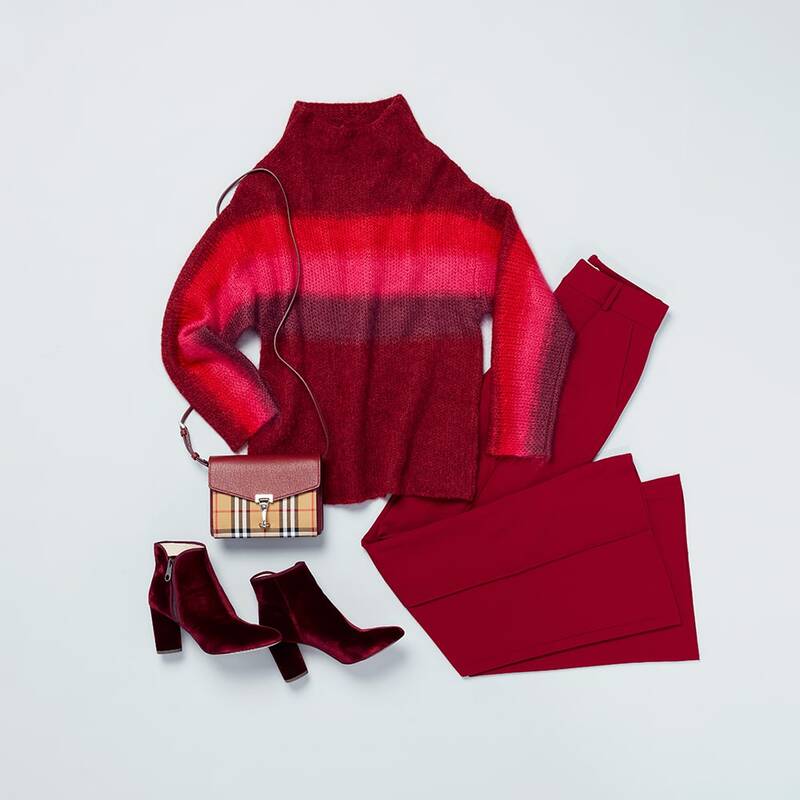 Additionally, luxe fabrics like silk or velvet in rich jewel tones are a sophisticated way to upgrade the classics, and they still feel modern enough to go beyond 9-to-5. “Put away that LBD this holiday season—it’s time for your clothing to be cheerful!” Marjorie says. And we agree. She suggests trying a one-and-done dress with sleeves and festive details that are more eye-catching than your average evening look. No need to be coy, we’re opting for flashy fabrics that incorporate shiny metallics or intricate beading from head to toe.